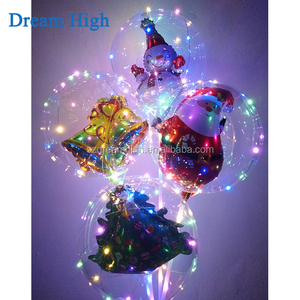 Product Name: LED Heart Shape Bobo Balloon Material: Foil Balloon Size: 18 inch Filling Gas: Normal Air / Helium Stick+Handle Length: 85CM String Length: 3 Meters No. of LED: 30 Lights Color of LED: Pink,Blue,Yellow,Green Battery Required: Replaceable. 3pcs*AA Batteries ( Not Included ) We can ship your order by Air or By sea,by Express (DHL,Fedex,UPS,TNT,SF.and so on). Hebei Miaocai Rubber Products Co., Ltd.
Beijing Working Tech. Science Co., Ltd.
Baoding Windmill Balloon and Electricity Co., Ltd.
2. OEM Accepted: We can produce any your design. 3. Good Service: We treat clients as friend. 4. Good Quality: We have strict quality control system . 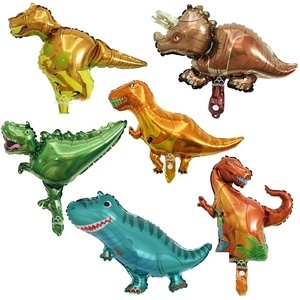 HI competitive price mini helium balloon,helium balloon price,inflatable balloon helium balloon Helium balloons can be used to decorate, to attract customers,enhance the effect of publicity Inflate helium as a filler,more safety and environmental protection,and the balloons itself are waterproof material and fire retardant,highlighting the usefulness and reliability of balloons Brand Name Happy Island Commodity Helium Balloon Material 0.18mm PVC Size Airship Advertising Flying Balloon:4m L ;5m L ; 6m L ;7m L or customized Round Advertising Flying Balloon:1.5m Dia ;2m Dia ; 3m Dia ;4m Dia or customized Accessory Nyon Rope(the parts connected with the balloon) Weight About 2-12KG Certificate CE/UL/SGS Place of Origin Guangzhou China(Mainland) Payment 30% deposit before producing,the balance before delivery Packing way Inner PP bag,outer carton Places for using Outer door 5-15m space Activity Suitable Exhibition,Amusenment Park, Commercial Activities or NoncommerciaI Activities ,etc . 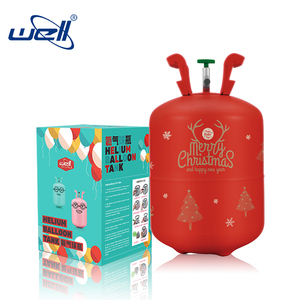 Delivery time 3 days in stock and 8-10days for order Each Helium Balloon we will test more than three days, in order to guarantee to you the best quality products. We provide repair kit for free,which including material and for repairing in case. 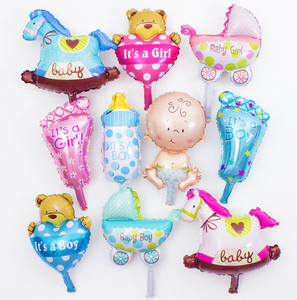 mini heart stick balloons Material Nylon+foil, CE approved Inflatable time Helium, hydrogen, normal air Usage mini heart stick balloons can be used for birthday party, baby shower, anniversary, wedding, give away gift and banquets. 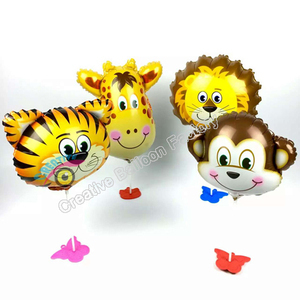 custom shape foil balloons can be customize designed,according to the type of function and the need of host Advantage 1. mini heart stick balloons remain inflated for 3 days to a few weeks. 3. mini heart stick balloons can be deflated and reused , which in turn SAVE the environment and SAVE your money in the long run. Yiwu Duocan Commodity Co., Ltd.
MOQ If we have stocks,there are no MOQ requirement, can order even 1 piece,but if we don&rsquo;t have stocks ,MOQ has to be 5,000 pcs/model. Other Service OEM,ODM acceptable Free Samples Various types are available with freight collect. Delivery Time Within 7-15 days after receipt of deposit and design was confirmed.